Come join us for some FREE festive fun! Enough to keep the whole family entertained! And if you get too cold there is always a warm retreat with festive food and drinks in our cafe. 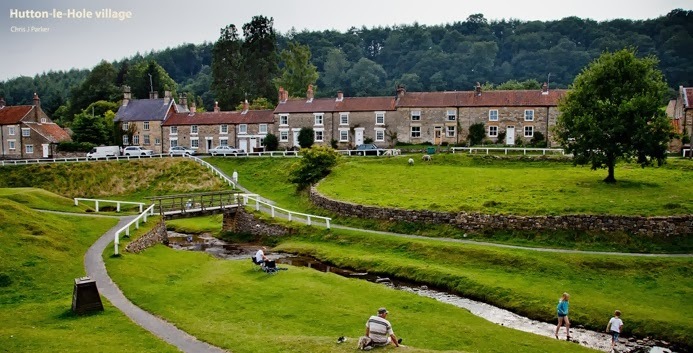 Why not try to win yourself a raffle prize, with generous prizes of gift sets and vouchers supplied by the NYMR, The Ginger Pig, Middleton Post Office Tea Rooms and beer from Ampleforth Abbey! Craft Course experience here at the museum. For more information please contact Emma McKenzie. You can only vote today!!! and you can call up to 10 times! Please get all your friends and family to vote! DON’T MISS US ON TV! 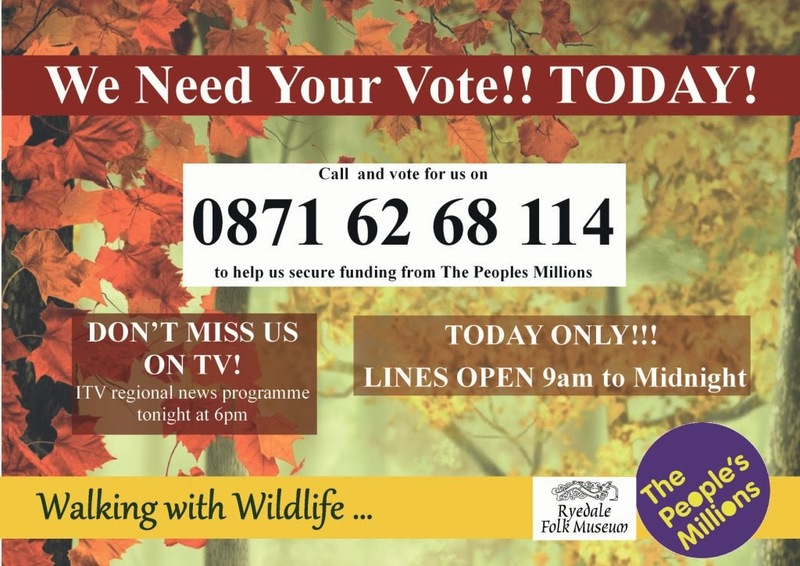 You can only vote by calling the voting line on Monday 25th November, and the number will be published on the Ryedale Folk Museum website – only on the day!! Lines will be open from 9am until midnight, and you can call up to 10 times! ITV came to film for our short clip yesterday which will feature on the telly on Monday 25th of November at Teatime on the Yorkshire News broadcast. 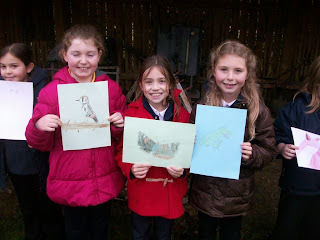 Above are just a small amount of the images which I took yesterday at the filming, we had Welburn Hall, Gillamoor and Kirkbymoorside Primary schools all involved, as well as the chainsaw carvers and Duncombe Birds of Prey Centre kindly came with one of their barn owls to excite the children in the project! They are all really excited and we really want to win this for them and the community that will reap the benefit from the process and end piece of a wildlife sculpture trail. Last night we were crowed the winner of the White Rose Tourism Award for Small Visitor Attraction of the year! We were up against some stiff competition including the James Herriot Museum and the Thackray Medical Museum in Leeds, so were over the moon to win this prestigious award, and were honestly shocked when they called our name, I had to quickly put my shoes on to get on the stage! 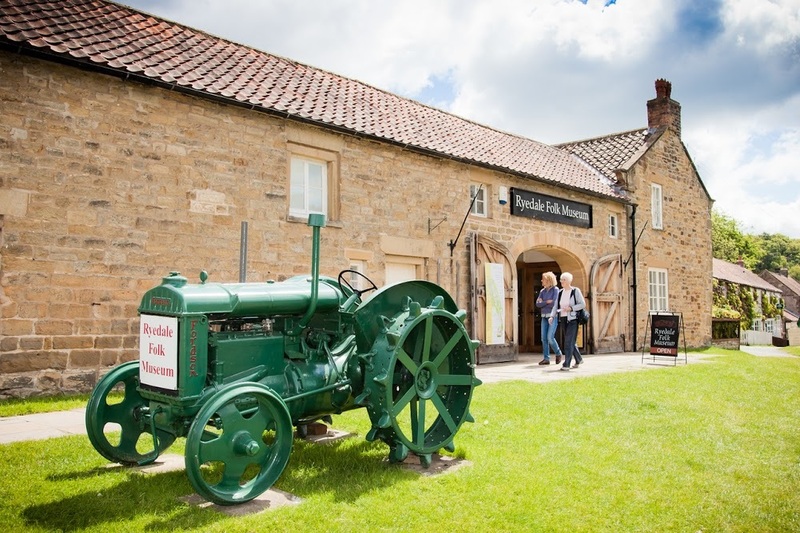 With us being so hidden away, and to win out of the entire of Yorkshire is an incredible achievement, all the staff and volunteers at the museum have worked really hard to improve the experience for our visitors, and it is so nice that all that hard work has been recognised. You can’t stand still in times like this, we rely on visitors coming through the door to afford to open each year, and to do that we need to continuously be improving our offer and opening the museum up to new audiences. It is a fantastic way to kick start our 50th Anniversary celebrations next year! It was a real team effort and we couldn’t be happier. The Museum has developed a lot since its opening nearly 50 years ago, nearly doubling in size, this is a recognition that it is moving with the times, developing and growing with the modern ways of representing museums. We aren't resting yet either with our next project just around the corner, a wildlife sculpture trail, which we are currently campaigning for, to gain votes to win the funding from Peoples Millions. 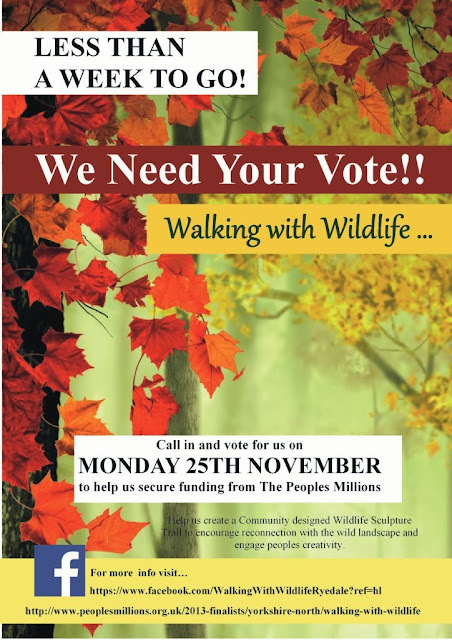 For more information on this project take a look at our project Facebook page called ‘Walking with Wildlife’ or you can visit the Peoples Millions Website. Our first time at The White Rose Tourism Awards and we won!!! More to follow tomorrow!! 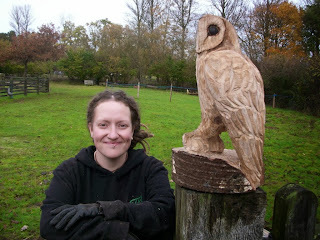 A COMMUNITY DESIGNED WILDLIFE SCULPTURE TRAIL. We need your help to secure funding to create a Wildlife Sculpture Trail within our grounds, and reconnect children with nature. We have been shortlisted for The Peoples Millions grant, and will go head to head with other projects to try and win the money. 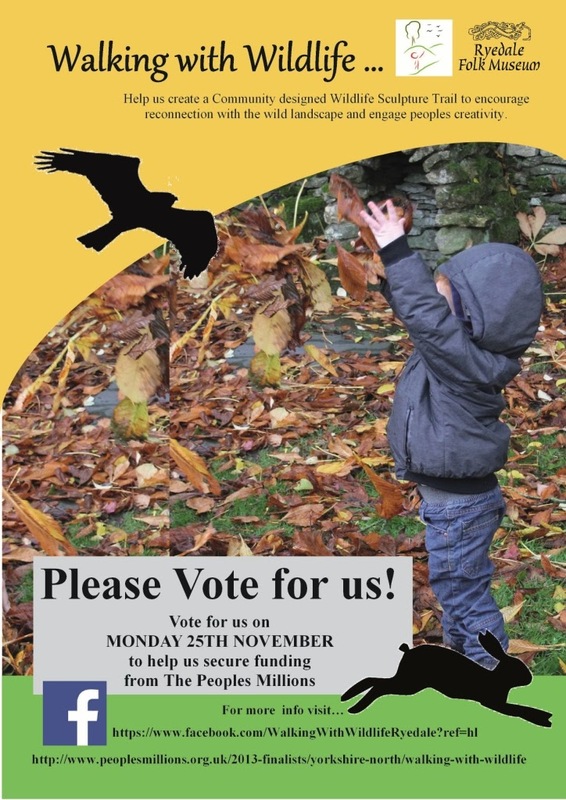 We need your votes to realise the creation of a wonderful new Wildlife Sculpture Trail which will be community designed and will encourage reconnection with the wild landscape, whilst engaging peoples creativity. By engaging local people in the design process and with the final hands on trail we hope to encourage and nurture an interest in their surroundings. 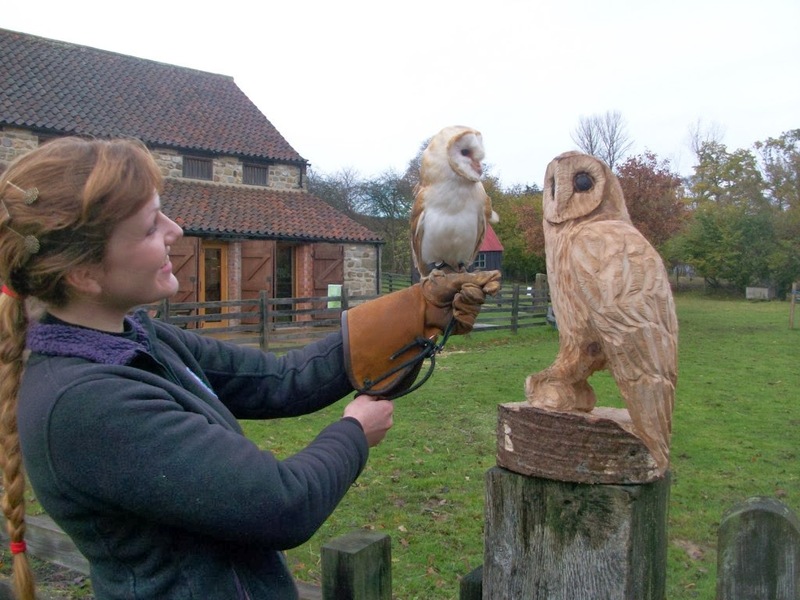 The process of making chainsaw sculptures will provide schools and visitors the opportunity to watch them being made and we hope this will capture the imagination and engage people with art. With limited opportunities locally of this nature it will make art accessible for all and encourage people to develop new creative skills that they can take forward into their lives. The trail will become a permanent feature of the museum, offering an inspiring and interactive experience for all visitors, all year around. RSPB Report, Connecting With Nature 2013. 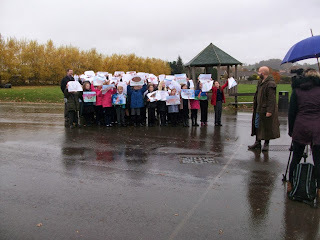 You can only vote for the project on MONDAY 25TH NOVEMBER. For more information and how to vote the Museum and partners have set up a new Facebook page called ‘Walking with Wildlife’ or you can visit the Peoples Millions Website.